Short and medium range Air and Ballistic Missile Defence systems, progress on the deployment of the Aegis Ashore system in Poland and it’s capabilities or Excalibur guided artillery shell for self-propelled tracked howitzer Krab – those issues were discussed between Polish experts and Raytheon specialists. The meeting took place in the American company’s headquarter in Waltham. Foundation experts Tomasz Smura, Maciej Kowalski and Robert Czulda attended. Participants discussed progress on the NG Patriot system, that is proposed in the tender for the new generation, medium range anti-aircraft missile system “WISŁA”. 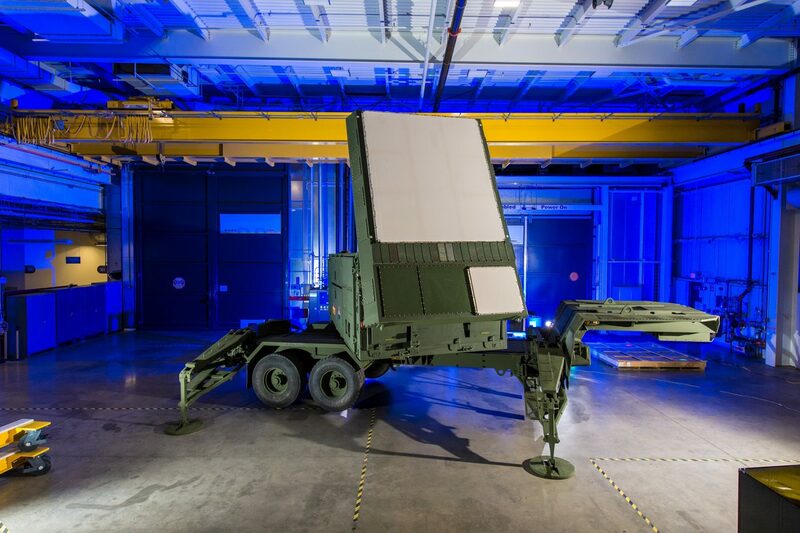 Manufacturers’ representatives assured that the 360 degrees active electronically scanned array (AESA) fire control radar, based on gallium nitride (GaN) technology, would be completed within 65 months of signing a contract with Poland and would be the most advanced this kind of system of in the world. Polish experts as the first saw the AESA radar demonstrator with an integrated main panel (smaller side panels are to be integrated subsequently). The experts also discussed the capabilities of the SM-3 missiles, that are supposed to be deployed in Poland under the European Phased Adaptive Approach (EPAA). Raytheon’s specialists confirmed, that in Poland there are to be three MK-41 launchers with two missile types, that is SM-3 Block IB and SM-3 Block IIA, capable of intercepting ballistic missiles (but not aerodynamic targets) in the Midcourse Phase. The American counterparts also announced, that later this year a SM-3 IIA missile test, with ballistic missile interception, will be held. During the meeting the capabilities of the NASAMS system, which is the result of a collaboration between Raytheon and the Norwegian company Kongsberg, were discussed in the context of Poland bid for the short range anti-aircraft system “NAREW”. Although with this system Poland could receive some technology, the producers will not be able to provide key elements of the AIM-120 AMRAAM missiles (Polish industry declared, they would be able to create and integrate all elements of the system except the rocket, license for which they want to obtain from outside). Another topic of discussion were the capabilities of a 155 mm Excalibur shells for tracked howitzers Krab or a gallium nitride technology. In addition to the Foundation’s experts, the meeting was also attended by representatives of the National Centre for Strategic Studies and journalists from Polska Zbrojna, RAPORT-wto, Armia, Dziennik Gazeta Prawna, Rzeczpospolita and Uważam Rze.